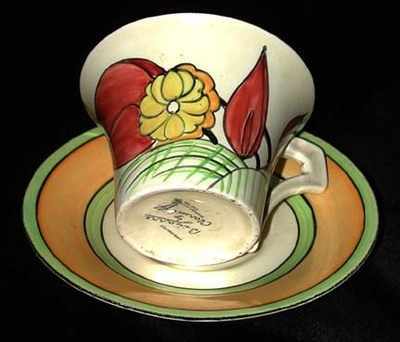 Cup and Saucer in the Moonlight pattern and Daffodil shape.Very good condition. Slight flaw underneath and rubbing to outer black rim of saucer. Signed "Bizarre by Clarice Cliff".